﻿ National Road & Zane Grey Museum - Ohio. Find It Here. This museum consists of 3 main exhibits: The first is on the National Road, also known as "The Main Street of America". The National Road, was our first federally funded highway which opened the doors to the West. Visitors enjoy the 136' long diorama which represents the road's over 700 miles from Cumberland, Maryland to Vandalia, Illinois. Also on display are several examples of transportation which would have traveled the road from horse-drawn vehicles and turn-of-the-century bicycles to early 20th Century vehicles. The second exhibit is on Zane Grey, "The Father of the Adult Western". Grey who was born in nearby Zanesville wrote over 80 novels and there were over 100 movies produced that based on these books. 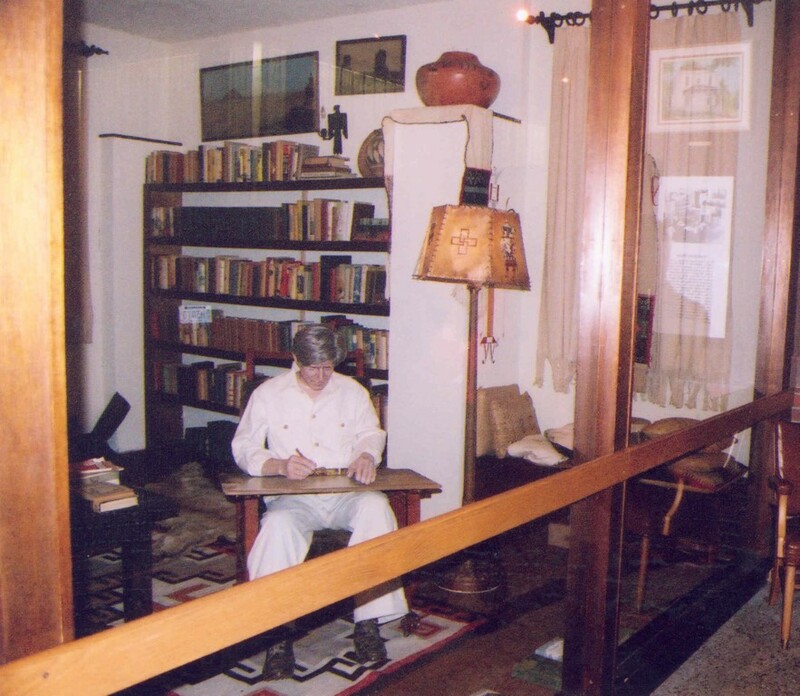 The museum also houses a great collection of his memorabilia and a recreation of his study in Altadena, California where he wrote many of his books. The final exhibit is a great collection of locally produced art and ceramic pottery which is beautifully displayed in the center of the museum. Examples are Weller, Roseville and Rookwood. The museum is handicapped accessible with clean restrooms and a nice gift shop area.